Intro: These are the first two sections of a verse novella. Told by an English journalist it charts his 60 year friendship with an Australian ‘bluestocking’ and her family, whom he meets on a tour he takes of the British Empire’s Dominions in 1913-14. The work also charts Anglo-Australian relations in the context of the Empire’s decline. his suburb’s first town hall. ‘We’ve a surprise,’ the Mayor seemed pleased. disarmingly robust, there she was. I’m something out of Mr H G Wells. she was asked, ‘from our Colonial Correspondent? this visiting London journalist Should try us out! The very reason I was there. yet fairly rule? Reasonable?’ he asked..
‘what of those partners-in-empire, our Dominions? who indeed and what indeed they were. Sydney and Auckland, Vancouver and Toronto. ‘Chaps of clout?’ quizzed and answered Jean. might I be free to visit the Moriartys at their Bella Vista? Mother it was who ran the Ministry. Ted stroked his trim moustache. Ted offered, ‘that’s how our Empire’s run. ‘Do you play charades?’ a Gemini enquired. I had been known to. return and play!’ her twin kept urging. ‘And may I book you in?’ Heléna asked. might we make a picnic and watch Teddy play? would arrive, taking me to the Windsor. See me out? Oh yes Jean would! might she need if the family supplied enough? ‘I always have. But then: ‘So he’s in college? the saddest snob of all with not the remotest brain. She never went to varsity whilst I did. I studied French and wish one day to use it. to speak it with…might you? what kind of friend I would be getting. although I’m well beyond mere Whig. His Worship, and what does that get mother? with all their attendant tut-tut-tut. welcomed most, those weeks in Melbourne. what Jean (and even I) might be saying next. and still hasn’t seen England her England. interpret and amend, in particular amend. we’re the dunes and we’re the headlands. I’d set myself to find. with Messrs Deakin, Hughes, Fisher and Cook. Smiling I lounged back just a touch and watched. ‘Well done,’ she cheered, ‘well done! she’d no more been there than Heléna had? what this Australian bluestocking truly thought. Jean’s latest innocent mug, their dinner table paused. yes Jean must she must. bemused, who or what was right before her. ‘Shall we pity her?’ I’d ask myself. its broad streets and roads are near to boulevards. who could have strolled straight into the Asquith Ministry. Jean seeing an opening had pounced. I know you’ve heard it, I do every day. I wouldn’t bite the bait. would near-love her ‘twang’ or no. For now we were to talk on what she really knew. How about my club, wasn’t I the member of a club? Did I by chance know a duke, an earl? an order seeing to it all flourished, was she not correct? as a hand was lightly flapped in Jean’s direction. Did she mean (she did) that I had sisters? staring down the hordes amassing at the gate? but other than ghosts there’s very little prospects. whilst I am certain to remain bluestocking me. to Old Father Thames and Mother England. call it tragic but the tragedy’s too comic. that vapid sister, what sort of bluestocking was this? ‘Haven’t you potential, Jean? Why stymie that potential? ‘Liner?’ he hears. ‘Ocean liner? Ah no we won’t.’ Since she will never marry. and never adds it. That’s how much she likes him. ‘I’ll respond like this: you remain here. reporting on our four Dominions. We knew that wasn’t viable. (which then neither of us knew). and wouldn’t wait around for either of the Gemini. but for all the spins in his motor, not quite. Who needed any ‘girl’ if you had one of them? made for hours of writing in the garden. for a lazy Sunday at my family’s cottage. my book ceased; I joined the war. Teddy was on leave. We met. the more women, women such as her demanded peace. So she wrote: I’m doing what I can notto support the war. ButI was warned, they’reopening our mail by now. for a seed merchant’s daughter. Yes she supposedthat’s a way to put it. Though the women the diversity of women! varsity never could have given me. trying to stop this useless war. I’ve never felt less alone. never been that big. Why won’t she just get married? One day when it’s over I’ll be needed. civic leader may have had. all unbelievably altered and know it never will be. Then though came an alteration. You wouldn’t know this, but Teddy left a child. France or London whilst on leave? But who? but at another a women’s touch seemed paramount. he wasn’t. So would I visit her? Doreen lived in some suburb Jean had never known. her boy and mother weren’t to be ignored. a host of missing Teddys and their children. well I would be if I had the time. I’d neither be a chap of clout, nor one of the future. almost to see what they were like. Then No. it didn’t seem Australia or Australian to Jean. it’s just she bungs on things oh so very wrong. The Bugles of England –and how could I stay? How couldn’t she except she can’t! or else I’m going out to find myself some Modern Art. this tirade had bewildered her. become more cruel? If your sister was an appeaser, maybe. Was this then an only way Jean knew to protect herself? Yes, but unintentionally cruel, entertainingly cruel. ‘that would spoil things, so why spoil things? the world believed in all its Teddys all their promise. on my behalf. It hasn’t worked. the more of a man he doubtless was). Stella and Vera married young. chaps who’ve survived, whose future had arrived. had collapsed, a briefest prelude to her stroke. soon after that even Greater War, what gives you most pride? it offered me many more: trying to make appeasers unacceptable. and how, after adjusting, he knows she never can be ‘strange’. he’s second guessed: ‘At your age no, nor mine. there the Municipal Chambers’ Moriarty Room. 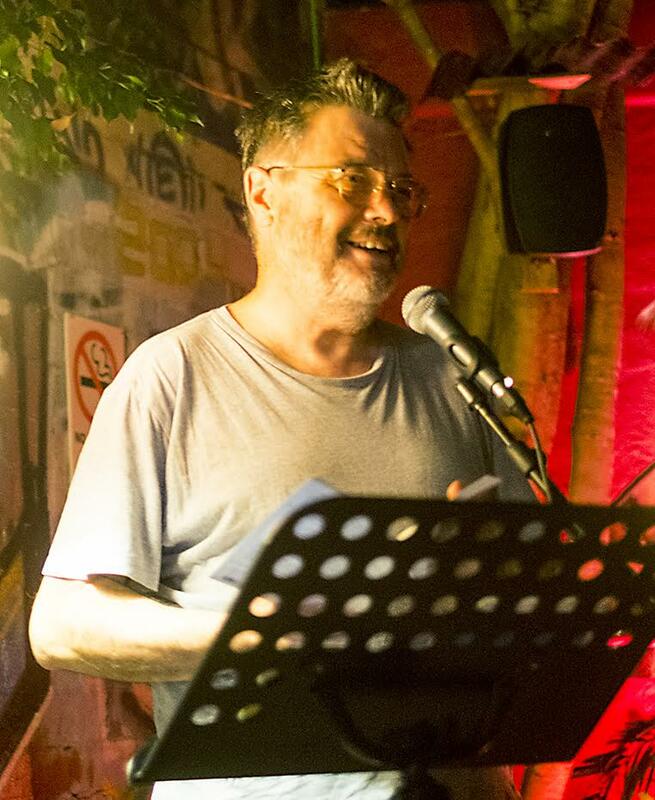 Bio: After 18 & ½ years teaching poetry at the University of Wollongong Alan is retiring to Melbourne to continue writing & publishing Grand Parade Poets books. 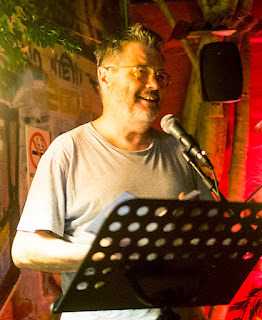 His next volume as a poet THESE THINGS ARE REAL appears from Giramondo in 2017. More sections from Alan Wearne's verse novella In Our Four Dominions will be posted on BM in about six months.